Mr. Larson founded SureID, Inc., in November 2001 and serves as CEO and Chairman of the Board. 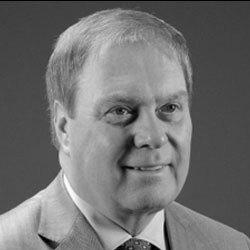 In 1987, Steve founded Unicru, Inc., where he served as Chairman of the Board, CEO and President. Unicru was the leader in Human Capital Management (HCM) automation technology, and was among Oregon’s fastest-growing private companies prior to its acquisition by Kronos, Inc. Steve has participated as a board member of several technology companies and others including COMPI and ExecuHealth. He has assisted in funding and recruiting executives and board members for numerous companies.